As demand for high-availability, low-latency IT infrastructure grows, a greater number of colocation buyers than ever are using more than one supplier of data centre rack space, while at the same time expanding their footprint in the cloud. This, at least, is according to a new report from 451 Research, commissioned by Schneider Electric and published on September 14th. The survey of 450 end users found that two-thirds (68%) of companies now use two or more colocation providers - over twice as many as are using just one (32%). In tandem, the average business is also ramping up consumption of public cloud services, and expects this to account for 27% of its overall IT capacity by 2019 - up from 22% today. In general, the report depicts a data centre market where complex hybrid IT environments are becoming the norm. More companies than ever seem wise to the benefits of this model, and more willing to make it a factor in their data centre sourcing decisions. If this describes you, here are a couple of our recommendations for choosing a provider in the hybrid data centre era. As the way we consume IT evolves, so too are the competitive dynamics of the data centre market shifting, the report states. With cloud on the rise and trends like IoT nudging sourcing decisions in new directions, many traditional providers are branching out into cloud and managed services to stand out from the competition. Common value-add offerings include application services, security services and premium 24-hour support. On the surface, this sounds like a good deal for buyers - and it is, to an extent - but there’s also the risk to consider that some providers may ultimately abandon colocation as a core offering, which means higher costs and more uncertainty for companies that require only rack space (whether from a primary or a secondary site). 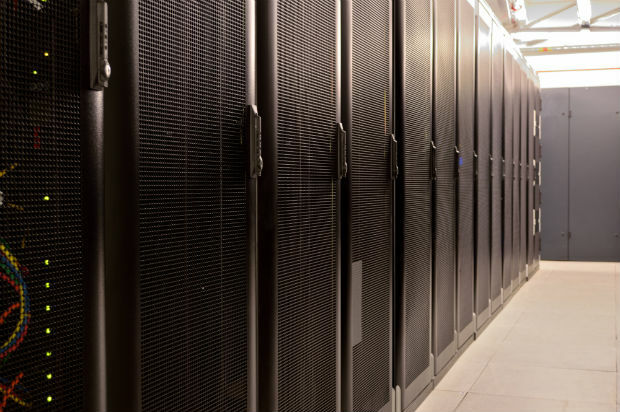 As such, it's important for buyers who fit this profile to ensure that suppliers can still offer cost-efficiency and stability to those clients with a colocation-only IT strategy - even as the wider data centre market evolves to include a range of managed hosting services, and providers vie to present themselves as a one-stop shop. Secondly, as providers fight it out to be chosen as their customers’ primary site, it’s important for buyers to be informed on the factors that really affect the quality of a data centre, and able to distinguish marketing claims from the reality when it comes to issues like security and resilience. For example, while the 451 Research report shows almost four-fifths (78%) of buyers consider uptime track record a key factor in their choice of data centre (ranking it four or five out of five), around 20% are unaware what level of power or cooling redundancy they actually need for optimal uptime. This suggests there’s a knowledge gap holding a significant number of companies back from making the best possible data centre sourcing decisions for their business. In order to choose a primary site that won’t let you down, it’s important to get under the skin of the data centre and learn how to look for what 451 Research calls the “credible engineering context” behind “vague public relations claims”. In some cases, it may even be worth looking past the comfort factor provided by accreditations like ISO 27001 and asking for any quality stamps to be substantiated with documentation and demonstrable expertise. Even as we move into an era of hybrid IT and greater focus on supplier diversity, your primary data centre still has a business-critical role to play. And, in order to choose a facility that fulfils that role to best possible standard, there’s no substitute for a sophisticated understanding of data centre management and engineering. Find out more in our free data centre services buyer’s guide.